Who and/or what are Kraftwerk? Many bands of the 1980’s, 1990’s and onwards attribute their success to the influence of Kraftwerk, from New Romantics and Hip-Hop to Techno. Groups such as Human League, Depeche Mode & OMD claim Kraftwerk as an inspiration and performers such as Gary Newman claim to be admirers. Past legends David Bowie and Michael Jackson also held Kraftwerk in the highest regards. Principal members Florian Schneider and Ralf Hütter first met while studying in Dusseldorf. Since then the group have seen lots of people come and go. Ralf is the only remaining founding member. 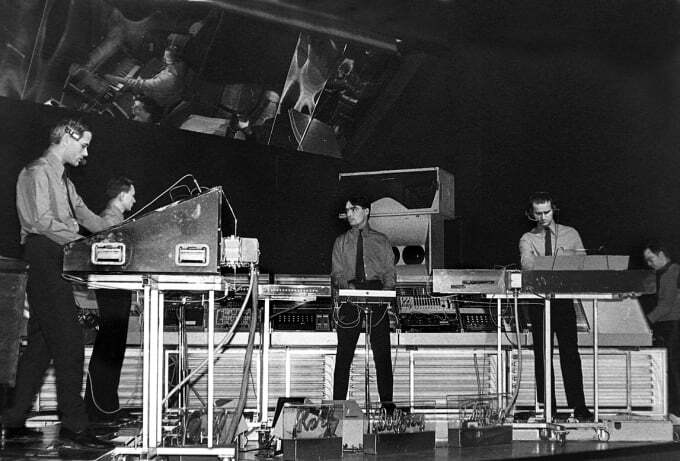 From 1974 -1989 the group consisted of Ralf Hütter, Florian Schneider, Karl Bartos and Wolfgang Flür and many observers now refer this setup as the “Classic line up”. Ralf Hütter, Henning Schmitz, Fritz Hilpert, Falk Grieffenhagen. In all, Kraftwerk have released 14 albums. 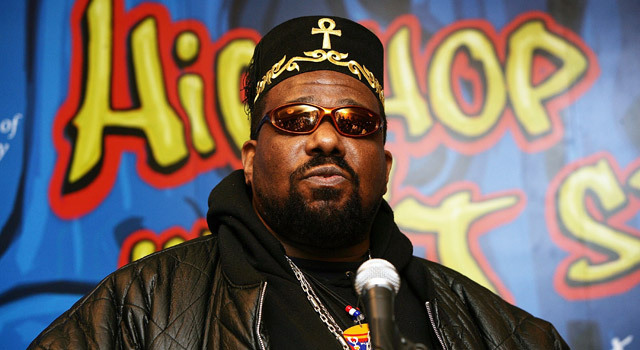 Not a lot for a career spanning nearly 50 years, and this includes 2 live releases. The sparceness of material has always been a bugbear to Kraftwerk fans throughout the world. But, for me at least, it is what a fan should expect. However, I do not think that there has been one release that not met peoples expectations. And this, I think, is the reason why there has not been more. Kraftwerk, when they first started out, were way “ahead of their time”, but since those initial endeavours the technology that they had almost exclusively are now available to just about everyone. 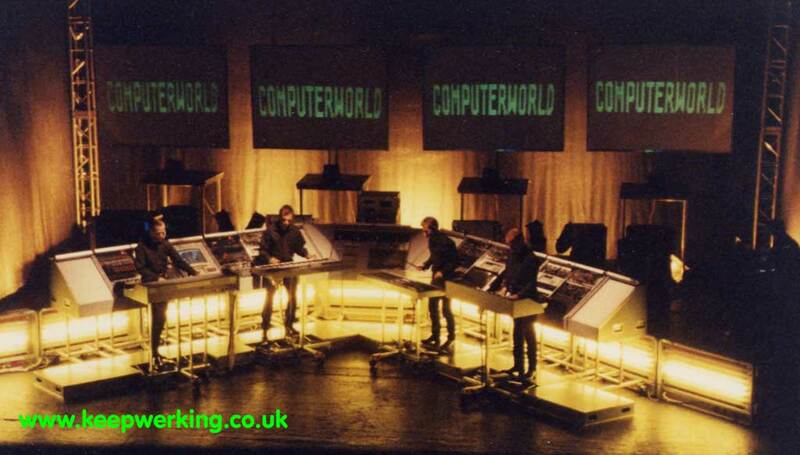 Kraftwerk have always taken a different approach to their live performances. Since the 70’s the have leaned towards an audio – visual performance with minimal interaction with their audiences. In the 80’s, Kraftwerk packed up their studio, “Kling Klang”, and brought it with them on an extensive tour. Back then they incorporated their own videos and they were projected onto large TV screens. The screen being especially imported from Japan and great expense. Throughout the years Kraftwerks stage set up has become a lot more minimal. These days their performances see them standing behind lit pedestals apparently hardly moving. Behind them huge 3D graphics re-enforce the music being played. And yes, in some venues even the sound is in 3D. Do you know something interesting about Kraftwerk, then please let me know. Alternatively leave a comment below.